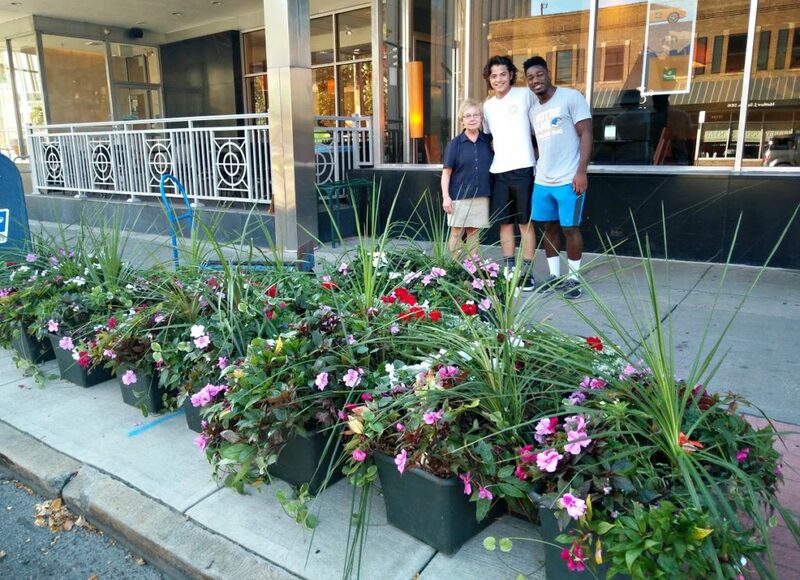 For four months this summer, Downtown Lakewood enjoyed an extra splash of color and greenery thanks to the volunteer-driven Flower Blossoms Program. Volunteers pose during the initial watering for the 2017 Blossoms Program. Geraniums and impatiens dotted the urban landscape from the start of June through the end of September, creating a more appealing commercial district. The 11th year of LakewoodAlive’s Flower Blossoms Program saw the addition of 54 flower boxes stretching east-to-west along Detroit Avenue from the Westerly Apartments to Cerny Shoes – the most boxes in any year. 54 flower boxes were placed throughout the downtown district. The Flower Blossoms Program is designed to help Downtown Lakewood merchants make their storefronts more inviting. 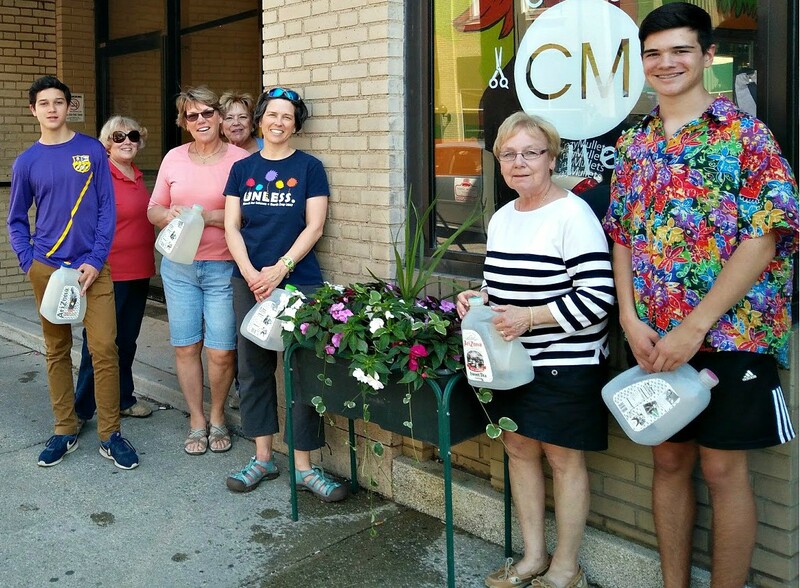 LakewoodAlive partnered with Lakewood Garden Center to provide an opportunity for merchants to purchase professionally-planted Earth Box planters with flowers appropriate for the sun/shade needs of each location. Longtime LakewoodAlive volunteer Kathy Haber has coordinated the Blossoms Program since 2007. What started as hanging baskets that proved difficult to water has evolved into flower boxes featuring built-in water reservoirs that reduce watering requirements. Flyers were sent to downtown merchants in January inviting them to participate in the Blossoms Program, which includes the rental of flower boxes and stands, the planting of flowers, consistent watering and the pickup and storage of all items come fall. Haber then spearheaded facilitation of the program shortly after Memorial Day. With assistance from Lakewood Garden Center owner Paul Bilyk, who coordinates the Blossoms Program with a grower, the materials were dropped off at the Lakewood City Center Plaza at the start of June. There, Haber convened with her team of volunteers to distribute completed flower boxes to program participants. Kathy Haber and a pair of volunteers remove flower boxes following the conclusion of the 2017 LakewoodAlive Flower Blossoms Program. Haber’s team of 15 volunteers watered the flower boxes three times per week throughout the summer and early fall, and First Federal Lakewood assists with storing the water stands the rest of the year. 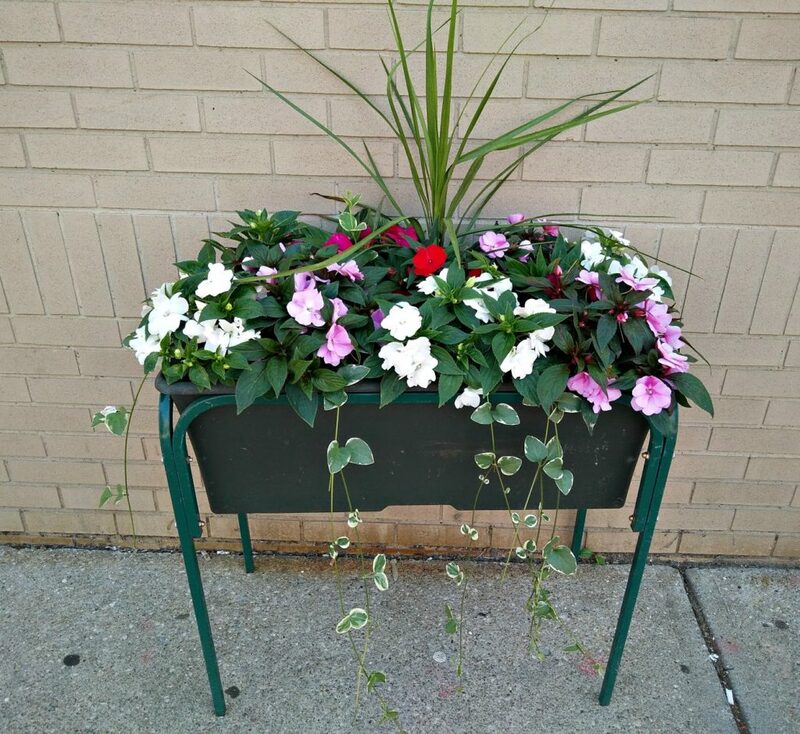 The success of LakewoodAlive’s Blossoms Program has enticed several merchants outside the downtown district to purchase flower boxes on their own. Meanwhile, many anchor businesses in Downtown Lakewood have faithfully participated in the program for years. LakewoodAlive thanks the following volunteers for their assistance with this year’s Blossoms Program: Kathy Haber, Paul Bilyk, Susan Echols, Burke Fortner, Susan Krebs, Karen Lee, Jane Leschnik, Christine McCallum, Patrick McCallum, Kathleen Miller, Heidi Murray, Norine & John Prim, Paula Reed, Marilyn Rudnick, Joyce Tabeling, Lili Torok and Karen Walsh.